Our international Panel of Experts have research and/or professional experience relevant to our work. In addition, they’re all from outside city or the West Midlands conurbation in order to give us a better ‘outsider’ perspective. Tim Benton, Professor of Population Ecology in the School of Biology at the University of Leeds and Dean of Strategic Research Initiatives as well as being a Distinguished Visiting Fellow at the Royal Institute of International Affairs, Chatham House and a Global Agenda Steward for the World Economic Forum. Tim was the UK Champion for Global Food Security (see foodsecurity.ac.uk) until he retired from the post in November 2016. He also contributed to What it takes to feed a city, the second part of the Birmingham 2050 Scenarios Project Report. 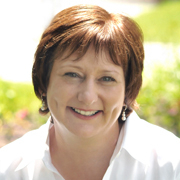 Barbara Bray is the director of a food safety and nutrition consultancy, Alo Solutions, which provides technical and nutritional labelling advice, and development and training to clients. She’s also an Associate Consultant with Techni-K Consulting. She worked in the Ugandan agri-business sector for three years after graduation, and then she spent 14 years on the chilled food sector in the UK and France with roles covering food procurement, the provision of technical advice and compliance information as Technical Manager with Bakkavor, an international food manufacturer. In 2017, she was awarded a Nuffield Farming Scholarship and travelled on the Global Focus programme to Singapore, Indonesia, Japan, Israel, the USA and within the UK to study international food and farming systems. In 2018, she took a role as a director of the Oxford Farming Conference. She is a registered UKVRN Associated Nutritionist, has a BSc Hons in Food Technology, an MSc in Post Harvest Technology, an MSc in Human Nutrition, and is a member of the Institute of Food Science and Technology. Dr Rosemary Collier, Director of the Warwick Crop Centre and Academic Lead for the Warwick Global Research Priority (GRP) on Food. By background, Rosemary is an entomologist (bugs, beetles and other insects), and has worked on pest insects for many years. Her main research is in the development and application of Integrated Pest Management (IPM) strategies for horticultural crops. She took part in The New Optimists Birmingham 2050 Scenarios Project, and in the Elliott Review Birmingham. I (Kate Cooper) wrote this blogpost about the first time I met her: Professorial muddy boots, vegans in the West Midlands & food security. 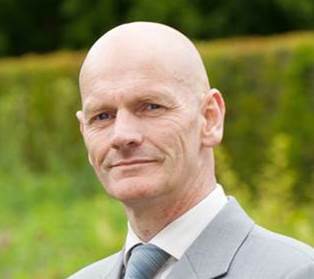 Professor Chris Elliott of the School of Biological Sciences at Queens University Belfast. In 2013, HMG Government asked him to lead the Elliott Review into the integrity and assurance of food supply networks, to which Birmingham made a significant contribution; see here. Chris has published more than 180 papers in the field of detection and control of chemical contaminants in agri-food commodities. He is also the Director of the Institute of Global Food Safety. 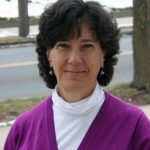 Roberta Friedman, ScM, Director of Public Policy at the University of Connecticut’s Rudd Center for Food Policy & Obesity. 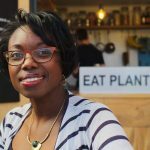 She educates federal, state and local policy makers and advocacy organisations about food policy and obesity research, and creates resources to help them write and implement effective obesity prevention policies. 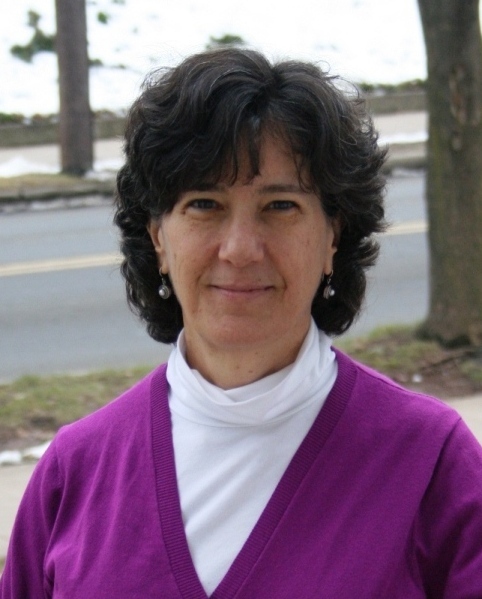 Roberta was a member of the New Haven, CT, Food Policy Council for three years. 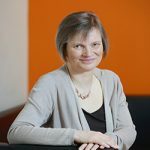 Professor Sarah Gurr studied at Imperial College of Science, Technology and Medicine, where she was awarded The Huxley Medal for her outstanding record of achievement. She held an independent Royal Society University Research Fellowship and was appointed, firstly as Lecturer, then Professor at Oxford (Fellow of Somerville College), where she held a Leverhulme Trust Royal Society Senior Research and a NESTA Fellowship. 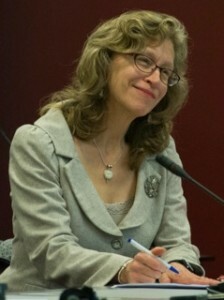 Sarah was appointed to the Chair in Food Security, at Exeter University in 2013. 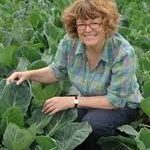 She was formerly President of The British Society of Plant Pathology and currently sits on BBSRC Council. She has authored over 130 publications, including a contribution to the recent Government Foresight report on “Biological Hazards”. She also holds Honorary Professorships at Utrecht and Pretoria Universities and was awarded the President’s medal by the British Mycological Society in 2018. Linda Hindle, a former consultant dietitian, is Lead Allied Health Professional for Public Health England. She currently serves on the British Dietetic Association England Board, and is Chair of DOM UK, a specialist interest group for professionals working in obesity. Linda presented at the Birmingham Sustainability Forum in September 2012, which is where and when a Birmingham Food Council was first mooted. Lisa Jack, Professor in Accounting at Portsmouth Business School. Lisa has a career as an auditor in both the private and public sectors as an accountant as well as her current role in academia. She has particular expertise and consulting experience in forensic accountancy. Her main research interests are in how accounting practices in the agri-food industry are very different from those in other industries. Molly Jahn is a Professor at the University of Wisconsin-Madison, holding appointments in the Department of Agronomy, the Laboratory of Genetics and the Center for Sustainability and the Global Environment. In 2009-2010, she was called to Washington DC to provide interim leadership as Deputy and Acting Under Secretary of Research, Education and Economics at the US Department of Agriculture. 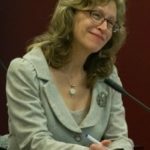 She serves on numerous boards and scientific advisory panels around the world, including the US National Research Council/National Academies of Science Board on Agriculture and Natural Resources. She chairs the Scientific Advisory Committee for the Energy and Environmental Sciences Directorates at the US Department of Energy Oak Ridge National Lab. 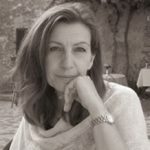 She’s also a Visiting Professor at the Oxford Martin School, speaks from time to time at Warwick Food GRP events and consults widely for public, private, corporate and philanthropic organisations. Chris Mould, Executive Chairman of the Trussell Trust. The Trussell Trust is a charity that develops community-based projects tackling food poverty and social exclusion. These include a rapidly expanding food bank network; see also this YouTube video. 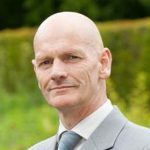 Before focussing on the voluntary and social sectors, Chris spent over 20 years in senior public management where he held both Chief Executive and Chairman roles at local and national level. 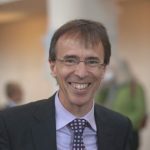 He was CHief Executive of Salisbury Healthcare NHS Trust for 10 years, and the founding Chairman of Healthwork UK (now Skills for Health). He then became Chief Executive of a new non-departmental public body responsible for police training across the UK. He’s also led over 15 start-ups and mergers. Rajiv Narayan, Community Health Worker Capacity Specialist at the New York City Department of Health and Mental Hygiene. 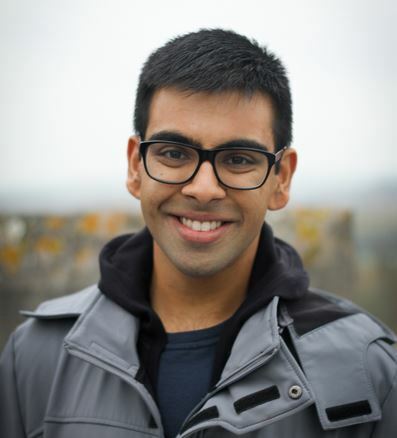 In 2014, Rajiv completed his MSc in Medical Anthropology with Distinction at the University of Oxford where he was a Rotary Scholar. His first degree is from UC Davis where he was a Regents Scholar and elected to Phi Beta Kappa. 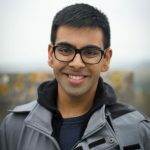 With his interest in obesity policy, public health and wellness, he is a contributing curator to Upworthy and has written widely, including for the Huffington Post and Endocrinology Advisor. He is an avid user of social media (see @Rajiv_Narayan and his Facebook page). 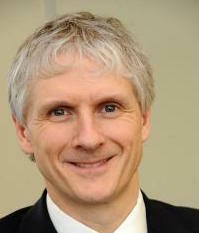 Mark Rogers is Director General – Children, Young People, Education and Skills at the States of Jersey. He is also an Executive Director at Collaborate CIC, a not-for-profit enterprise which helps public services to collaborate to tackle complex social challenges, and an associate at KPMG. 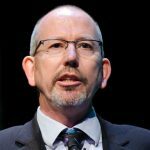 He’s held senior management posts in local authorities, including as Chief Executive of Birmingham City Council (2014-17) and Solihull Metropolitan Borough Council (2007-14). He was President of the Society of Local Authority Chief Executives and Senior Managers (2013-16). He served on our Board 2017-18, resigning on his move to Jersey. Pamela Sydelko is Director of the System Sciences Center at the Argonne National Laboratory in Chicago, USA. Currently studying for a PhD in systems science and theory at the University of Hull, earlier she earned her MBA from the University of Chicago and her M.S. in soil science from the University of Illinois at Urbana-Champaign, where her research focused on coalmine reclamation. She joined Argonne in October 1989, coming from the U.S. Army Engineering Research and Development Center – Construction Engineering Research Laboratory (CERL) in Champaign-Urbana. She has expertise in systems-level research and technology aimed at developing innovative modeling, analysis and decision support tools / technologies including the development of integrated multi-component software systems. Key modeling domains include national security, environmental/land use, logistics, and infrastructures. 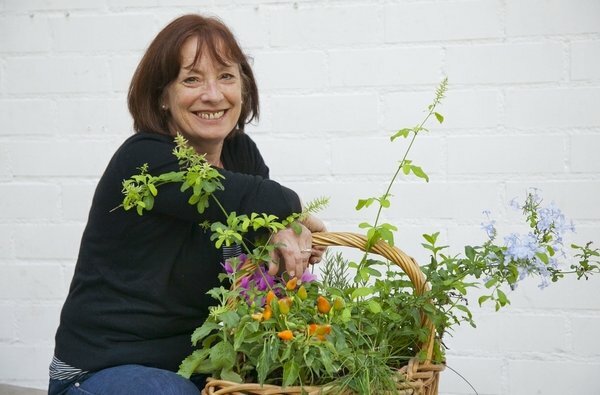 Pam Warhurst, one of the founders of Todmorden’s Incredible Edible, and currently its Chair. Tod’s Incredible Edible is but a part of her activities for the common good. 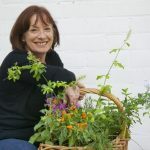 She’s Chair of the RSA Yorkshire region, and Honorary Fellow of the Landscape InstituteForestry Commission Great Britain, and the former Chair of the Forestry Commission Great Britain. She’s also served as a Board member of Natural England, she’s been both Deputy Chair and Acting Chair of the Countryside Agency, a Labour Council leader on the Calderdale Council and a Board member of Yorkshire Forward. In addition, she’s chaired both the National Countryside Access Forum and the Calderdale NHS Trust.